As part of the Channel Cafe's acoustic music Saturdays, the Daniel Bennett Group will performing tonight from from 7-9 PM. 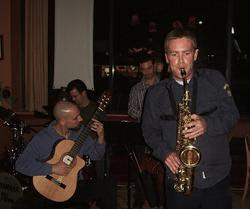 I was at the Daniel Bennett Group show at channel cafe last night. Amazing!! Definitely bring them back! loved the food too!